It can be a tough balancing act to manage the pressure of a fast-paced life while also coping with the stress that comes along with it. Everyone encounters stress in their workspace but it is critical to focus on the positive coping mechanisms to maintain our mental health. 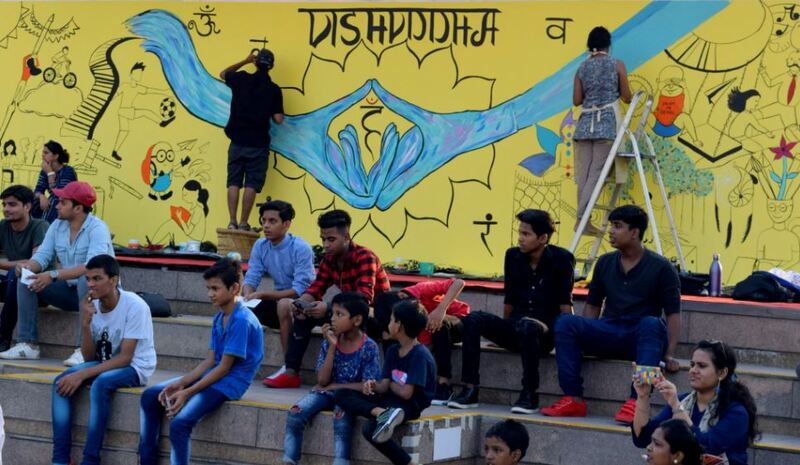 In a unique first-of-its-kind event, the George Institute for Global Health, India and the Wellcome Trust/ DBT India Alliance joined hands to organise the Healthy Mind Street Art event at Select City Walk mall in Saket on September 14. As part of this unique project, artists and researchers came together on one platform to promote awareness on mental health, especially workplace stress. 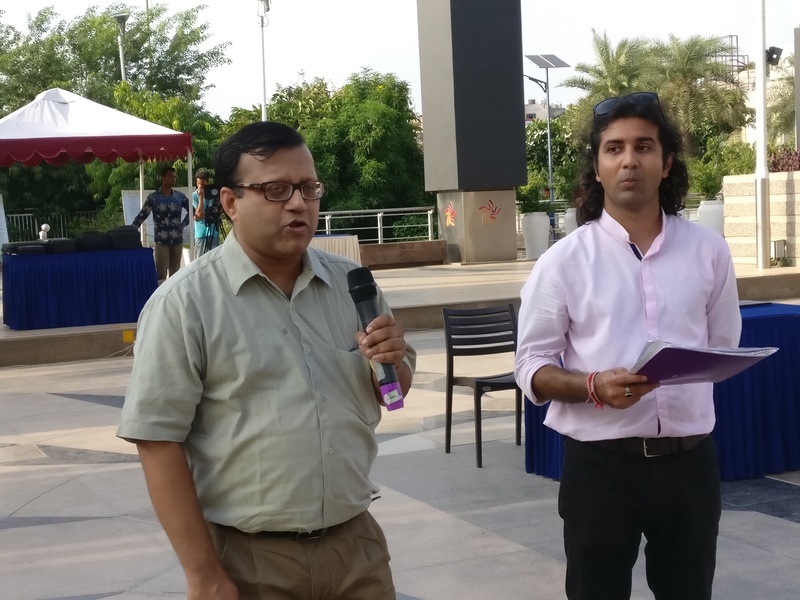 “The idea was to promote a dialogue on how to deal with workplace stress and discuss mental well-being,” said Pallab Maulik, Deputy Director, George Institute for Global Health India. “Workspace stress remains an often-neglected aspect across different industries and countries, including India,” he added. The evening saw researchers from the George Institute talking about the importance of mental health in our daily lives and also recognise signs and symptoms relating to common mental disorders. There was an open discussion on workplace stress and stigma related to mental health. A short film from the World Health Organisation (WHO) entitled “I had a black dog, his name was depression” was also screened on the occasion. 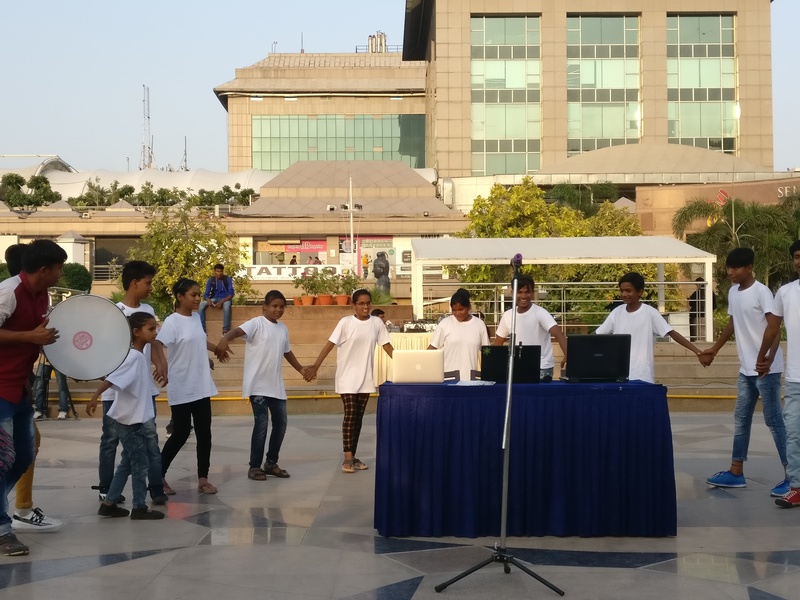 A highlight of the evening was street theatre performances by children from Jamghat theatre group which also brought mental health issues to the fore offering an opportunity for those present to appreciate the need to openly talk about them. Through this play, the child actors held a mirror to the current practices at workspaces in India that are impacting the mental and physical health of working professionals in the country. There was also an open discussion with the mental health researchers and artists towards the end and the need for holding for such public engagement events was highlighted. Another key highlight of the evening was a display of an artwork by artist Richa Kedia depicting a few common coping mechanisms. “Everyone has different coping mechanisms and the artwork depicts few common coping mechanisms. One of the most important ones is meditation and the key doctrine of meditation is to learn to control one's seven chakras to reach the highest form of self-awareness or nirvana,” she said. The central theme of the artwork on display was the fifth chakra or the throat chakra (expression). “A blocked throat chakra can impact one's ability to express for fear of ridicule and judgement. Mostly with regards to mental health, the fifth chakra gets blocked mainly due to the social stigma attached to it. 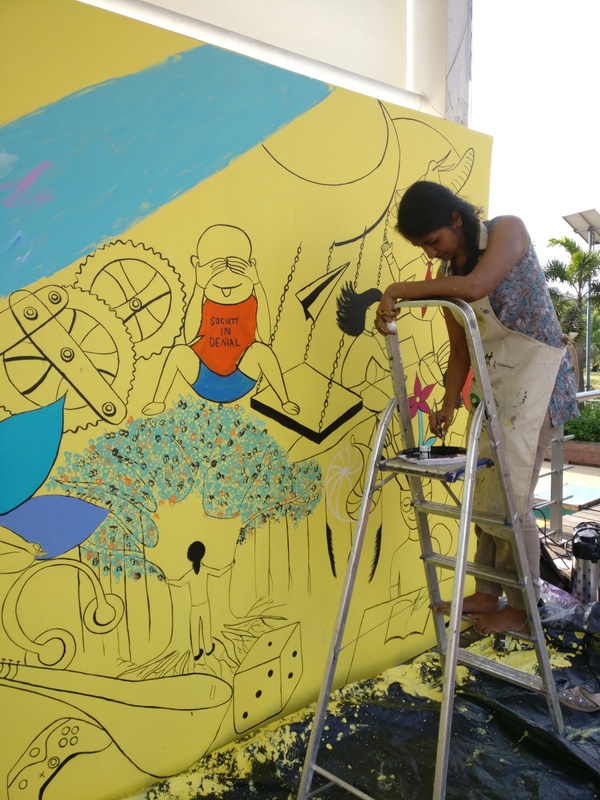 The artwork aims to remove the stigma attached to mental health, thereby unblocking the fifth chakra,” Richa who was helped by two other artists, Rohit Artworks and Shubhangi Raheja, said. 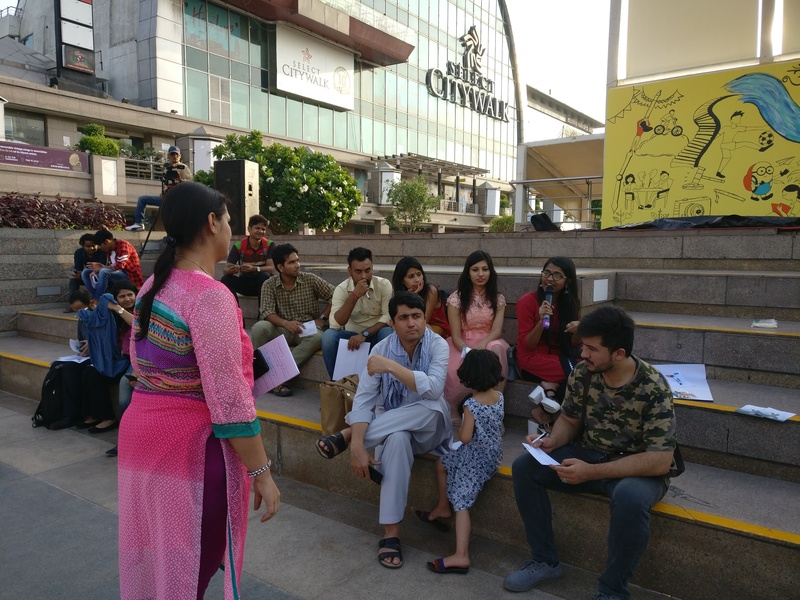 The live art and theatre performances were appreciated by the visitors to the mall who got an opportunity to interact with the artists, community representatives and biomedical practitioners, allowing the interaction to influence the artwork. Arting Health for Impact has been conceived jointly by the Welcome Trust/DBT India Alliance with Infers Group (Botswana) and Interfer (South Africa) and is being implemented in India with the George Institute, as a multilateral and multinational collaborative project that aims to connect artists, scientists and the general community to explore science and health through street art, providing a creative urban space and an opportunity for all participants to express their ideas. says Shahid Jameel, CEO of the Welcome Trust/DBT India Alliance. As a first step, a one-day workshop on workspace stress and its management was organised on August 30 in New Delhi. The workshop included open discussions, experience sharing and creative arts sessions to help participants understand, express and engage with the complexities of mental health. With biomedical science as inspiration and art as a medium for engagement, Arting Health for Impact program aimed to innovate and implement novel strategies for effectively communicating the art of science to the public.